Heather and I were having a long round of Facebook voice chat the other night on our respective ways home and she mentioned having caved and bought A Little Life by Hanya Yanagihara. I honestly can't say I was planning to read this one. There was lots of waffling, but since she took the plunge, I suggested a buddy read, and here we are. I'm only about 7% but I'm enjoying Yanagihara's voice a lot. Her word choice is almost whimsical at times, which surprised me. It seems like it's taking a long time to really get a handle on who's who of the four main characters, but with 700+ pages ahead...not surprised. It's #ComicsFebruary! 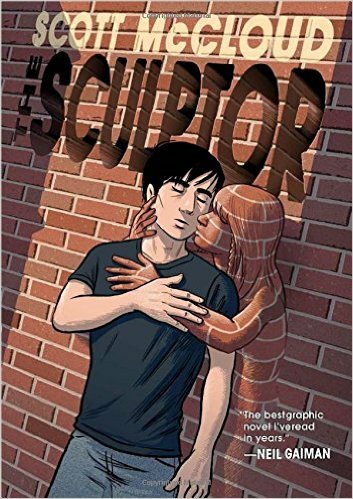 Heather, Kailana, Trish and I are reading Scott McCloud's newest graphic novel, The Sculptor. This is another chunk of a book at 488 pages, but I know they'll go quickly. I'm a big fan of McCloud's, but I've only read his comics non-fiction. I'm just a few pages into The Sculptor, but I can already tell it's going to thrill me. He does such lovely, nuanced things with images. Coming up this week: a proper post about my plans for #ComicsFebruary and a review of Gender Outlaws: The Next Generation. The Sculptor is fantastic, one of the best, if not the best, graphic novels I read last year, and I read a lot of them! Oh good! I'm so glad to hear it. I'm so so so looking forward to diving into it tonight! I remember mixing up all the characters and who had which background when I started A Little Life...I ended up writing things down! Once you get farther in though, you become intimately familiar with each one, but notes in the beginning were a must for me! Good luck! I'm glad to hear that because it gives me hope! LOL I'm about 50 pages in, and we're learning a lot more of their back story so that really helps. I will probably end up taking a few notes, though. Pairing a long book with comics is just perfect! I sometimes avoid long books because they take so long to finish and then it feels like I'm not reading as many books. This year I decided not to do the goodreads challenge and will embrace long books. I'm on my third week of City on Fire now (950 pages), but will finish soon. Yes! I can feel so stuck with longer books, which is a shame, because when I like them they really are worth the time and commitment. Good for you for embracing longer books. I'll keep you posted about A Little Life! WOO! Read all the things! 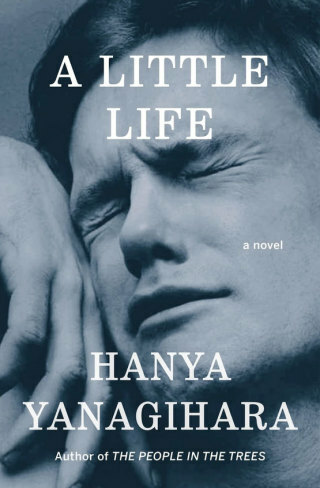 I loved A Little Life, and although I definitely felt every single one of those 700s pages, it flew by relatively quickly. I hope it works for you, despite your bit of reluctance in picking it up! I'm sure there will be oodles to talk about, so good choice for a buddy read. I tried starting A LITTLE LIFE earlier this year and it just wasn't the right time for me. I have no issue with long books, but sometimes the book doesn't speak to you. I put it aside and will try again later this year. However, I checked The Scuptor out at the library this weekend. I'm finding myself on a kind of 'graphic novel binge'. My husband thinks I've gone nuts. And I'm right in the middle of gothic book, but the others are calling. Anyway, they are certainly fast reads. Enjoy your books! I love long books but blogging makes me feel a bit guilty about spending so much time with one book. Lately though I've been forcing myself to read first, blog second. So yesterday I picked up a chunky classic and I'm going with it! I'll be interested to see what you all think of Sculptor. I have been on the fence about getting it for a while! Yep, stuck. They make me feel stuck. Awesome for you that you're prioritizing. I struggle with that sometimes. I'll keep you posted on The Sculptor! I'm the same with long books... Anything over 350 is quite the commitment for me! Both of these are new to me books but I hope you enjoy! Thanks, Jade! Crossing that 350 mark is a challenge, but so often it's worth it. I have to remind myself of that! I've never heard of The Sculptor, but the cover looks fabulous! I'll check it out. I loved the Sculptor! That was my first graphic novel and it was pretty amazing. I haven't read A Little Life yet, but I agree a buddy read for long books really helps. I never would have made it through 1Q84 without one. Yay for A Little Life!!!!! I was in a book hangover for a week with that book and loved every second of that hangover. I'm not even kidding when I say that I could not pick up another book for a week. It did take me about ten days to get through it because it's so long and I had to keep putting it down to get my emotions back in order. I'm so excited you're reading it!! I wouldn't go so far as to say that I have a phobia of long books, but I am more likely to pick up shorter books first. This is especially the case since I started setting a goal on Goodreads - I've been so determined to hit my target that I pick up shorter books to get there, rather than taking my time with something longer. But since I have no Goodreads goal this year I feel like I'm free read some long books. I just finished Outlander/Cross Stitch (800 and something pages), and I've got War & Peace going at the moment (1200 and something pages). And I've got loads of other chunksters that I've accumulated and neglected over the last couple of years that I'd like to get to soonish. I loved A Little Life! I'm just starting Purity by Jonathan Franzen (over 500 pages) and am reading the Elena Ferrante quartet of novels, so I've got a couple of long ones going right now. Good idea to read the graphic novels alongside! 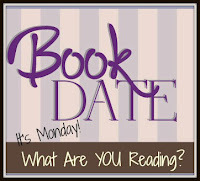 Readalongs are great for long books - helps keep you going when things start to drag!